Pradeep/Blog/New Delhi : This is very good news for Cable TV and DTH industry because in budget 2016 basic custom duty has been exempted in set-top box components, so it is very good news for Cable Tv digitisation. 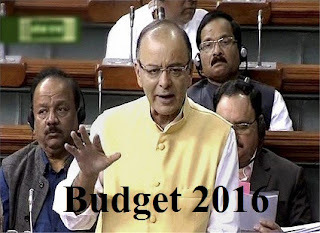 In Budget of 2016-2017, Finance Minister Arun Jaitley said that excise duty on subparts for manufacturer of Routers, broadband modems and set top boxes components was being exempted from 12.5% to 4%. At this time maximum numbers are set-top box being imported from outside of India but now in lower excise duty in set-top box components, local manufacturers can boost production of set-top box which can help to boost government's "Make in India" program. So this redemption will boost set-top box manufacturing in India. Due to changes in excise duty in set-top box, routers, broadband modems, digital recorder and CCTV cameras are set to become cheaper by 7%-8%. For Cable TV and DTH industry, monthly budget of customer for entertainment become little costlier due to increase of service tax (SES) as 0.5%. Now service tax is 15%. So monthly recharge pack or other services become costlier.